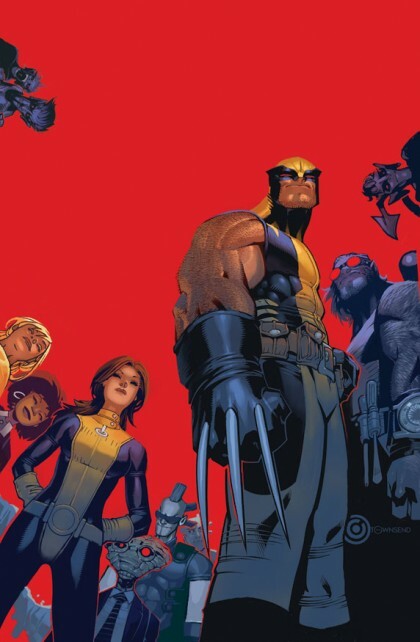 Favorite Super-hero Book of 2012: Wolverine and the X-Men: I haven’t read much of the X-Men since Joss Whedon’s run on Astonishing, but I am so glad Seth insisted we pick up this title. This has consistently been my favorite super-hero book this year since issue #1. It’s funny, it survived cross-over madness, and it has more bamfs than you can shake a stick at! If you haven’t been reading this delightful tale by Jason Aaron, you need to add this to your holiday wish list immediately! Favorite Non-Superhero Book of 2012: Saga: This space story is out of this world! Beautiful art combined with well paced writing creates a compelling story of new parents trying to protect their child from the war being waged around them. 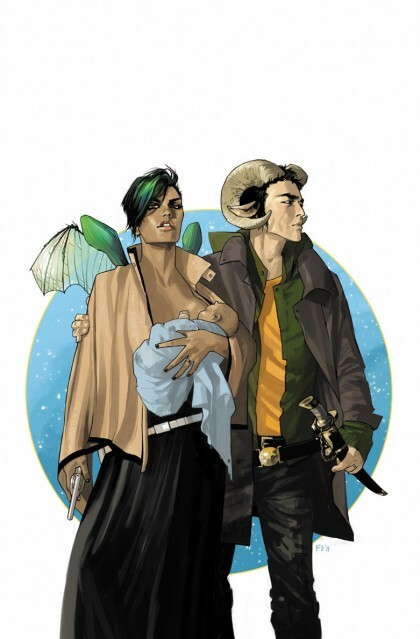 If capes and tights aren’t your thing, visit the genre side of things and catch up on Saga. 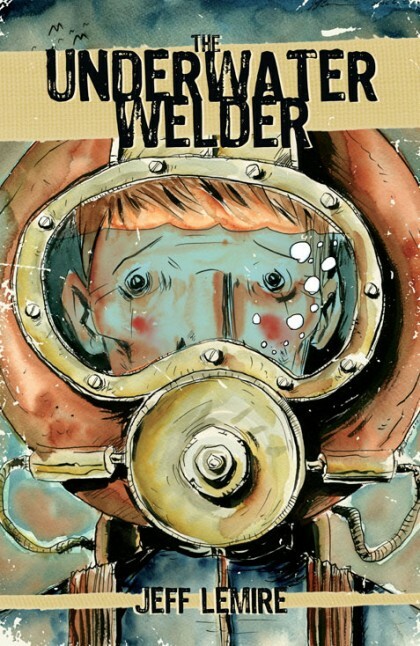 Favorite Original Graphic Novel of 2012: Underwater Welder: Gorgeous, moving and deep, this story of impending fatherhood crossed with childhood memories is a beautiful book for the ages. For more in depth description, check out my review from earlier in the year right HERE. 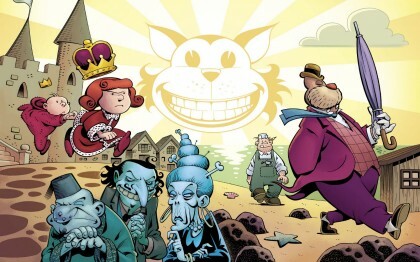 Favorite All Ages Book of 2012: Snarked: Oh, Roger Landridge, I hope Santa made an extra trip to your home this year as you belong at the top of the “Nice” list for this wonderful All Ages story that digs into the Alice in Wonderland cast of characters and pulls out the Walrus and the Carpenter. This is a truly a book for children of all ages to enjoy. 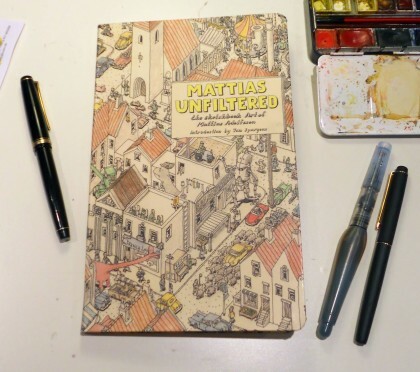 Favorite Art Book 2012: Mattias Unfiltered: Mattias Adolfsson’s sketchbook is packed full of detailed and imaginative drawings. From robots to nature to all manner of creatures, I could spend hours devouring all the beauty inside this little moleskine notebook.